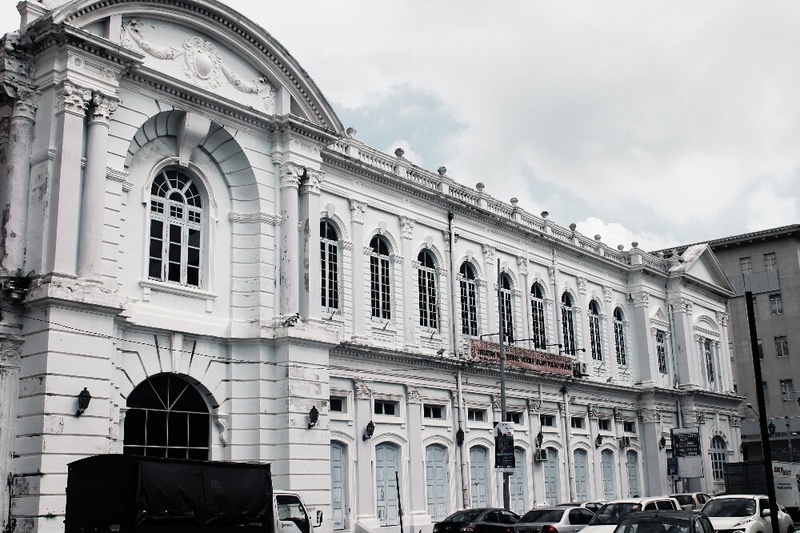 George Town is small enough to walk around but does offer a free shuttle bus around the core of the City. 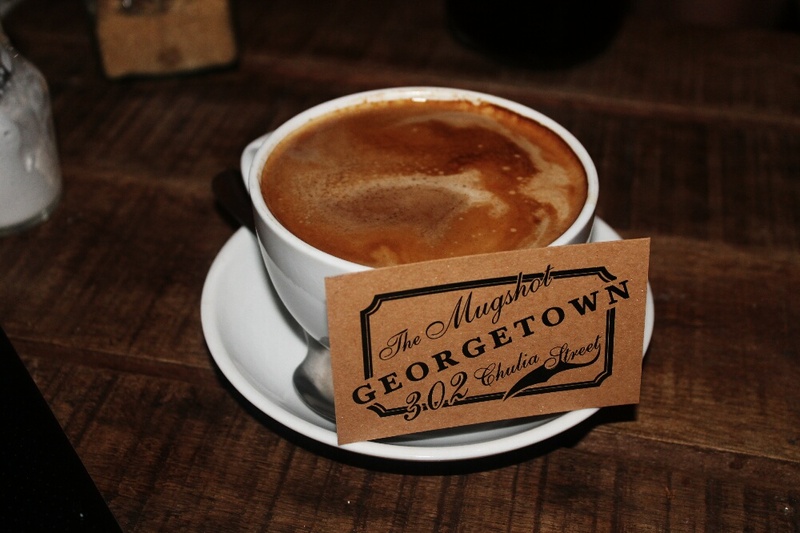 From the title of this post it looks like George Town was tailor made for my likes and loves. On our first full day here we covered some ground exploring the city. 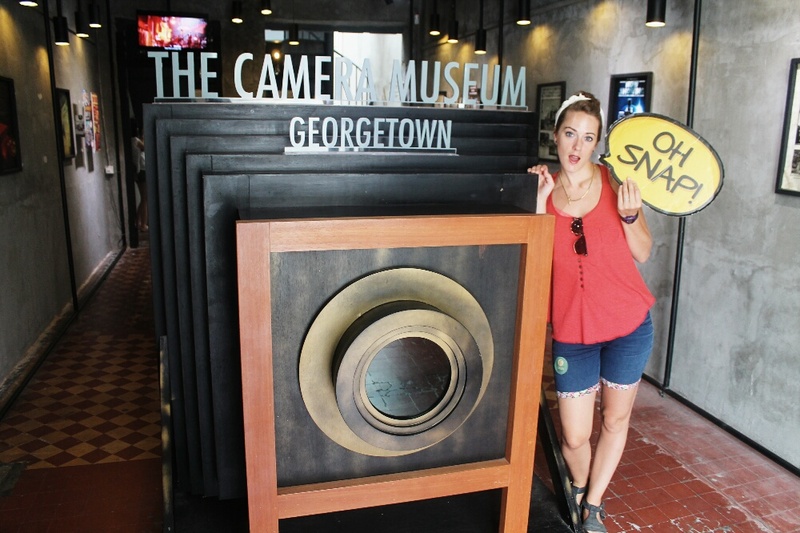 First on the hit list, the vintage camera museum which is a must for any camera/photographer enthusiast. For around £4 each you can literally walk through the entire history of cameras and iconic photography. I own a few vintage cameras and visiting this museum has fuelled the flame to collect some more, it truly is graveyard for cameras past, preserved in top condition. 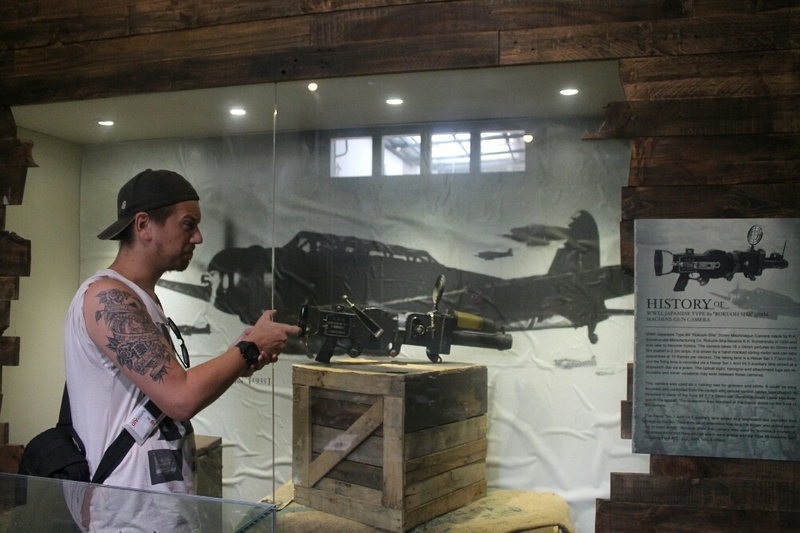 A couple of the highlights here were seeing the machine gun camera (it shot up to 10 shots a second and used by the Japanese military for shooting practise), also what was likely the first ‘selfie’ taken in the 1920s by a group of old chaps. Right next door to the museum was the Purrfect Cat Cafe, a cafe full of pedigree cats, snoozing and lazing about for the customers to pet, stroke and play with. 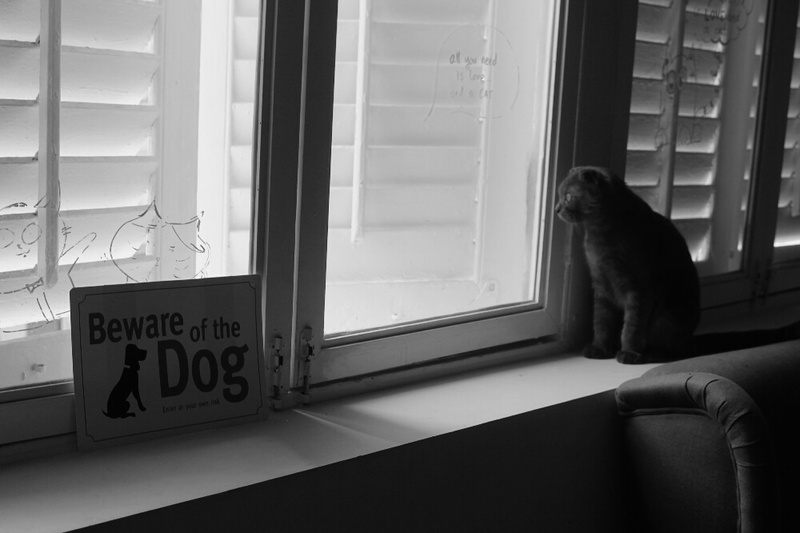 The quirky cafe is decked out to a high standard, full of cat type decorations, quotes and cat beds. After that we put even more miles in. While walking around, we noticed George Town has many similarities to Bristol (UK) where we got married and hope to reside after our travels. Bursting with street art, creativity, quirky bars, cafes, restaurants, street food and even the architecture in places (from its British heritage), all made us feel at ease here. 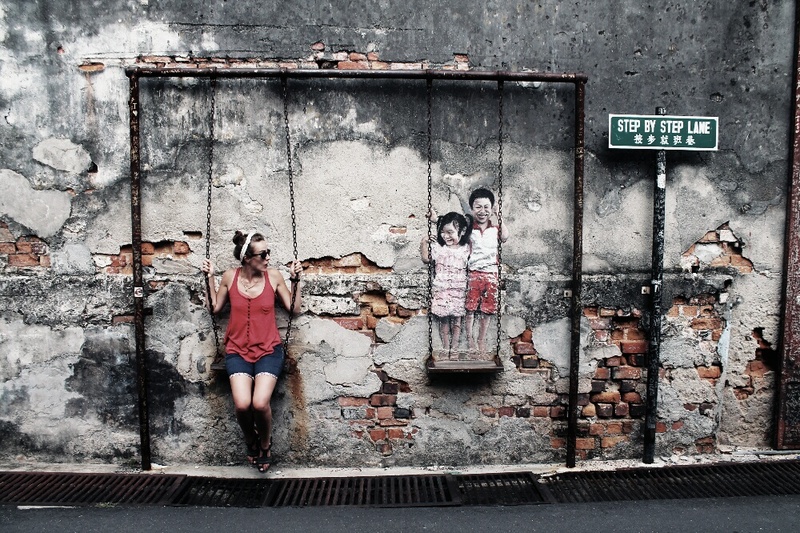 The street art is dotted all around George Town and is a great way to explore all the different areas. 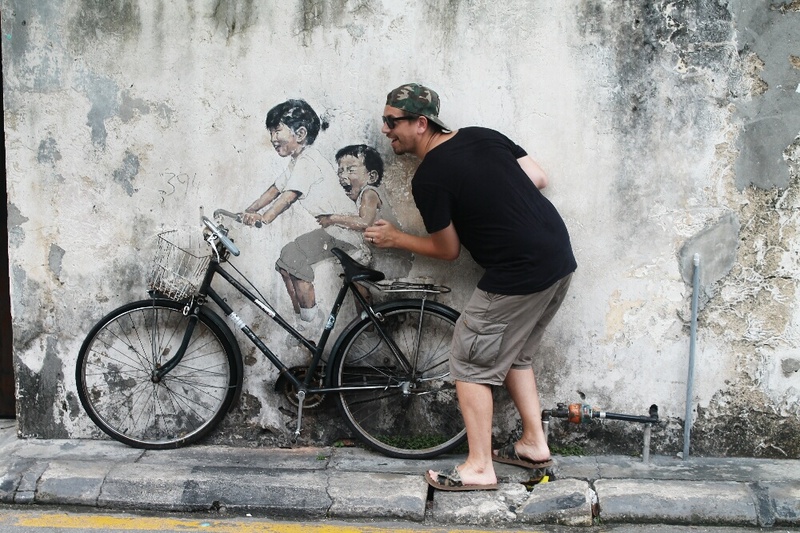 You can see the influence Banksy has had on some of the pieces, but it was great to see the Malaysians twist- using props like Motor Bikes, Basketball hoops and swings. 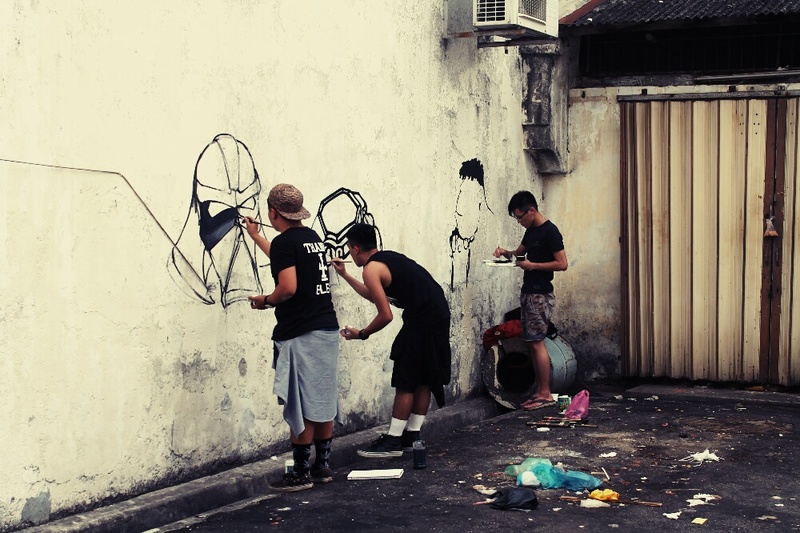 The street art is a movement from 2012 in George Town, with pieces going up all the time. We saw the beginning of a new piece going up by 3 aspiring artists. It doesn’t look like its frowned upon by the state as a policeman on a bike cycled past and didn’t flutter an eyelash. 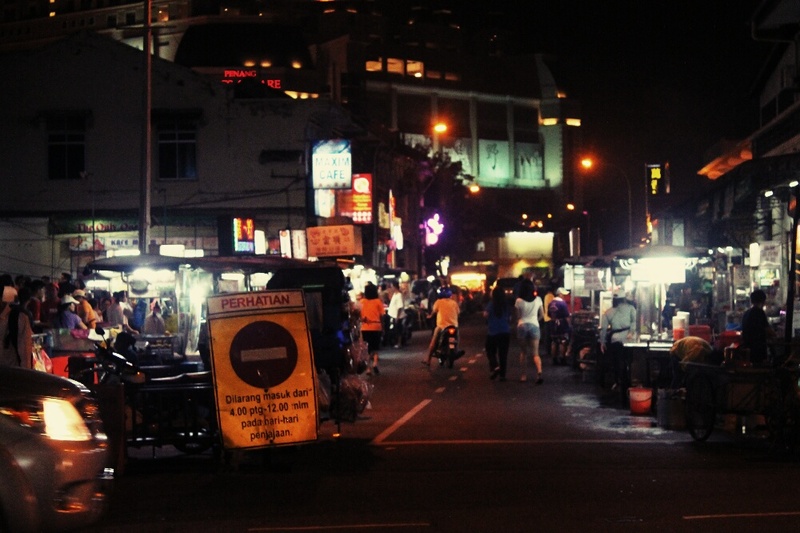 George Town also hosts some of the best street food we have had, and cheap dishes for £1, sometimes less. There are a number of street stalls scattered all over the town, we went to one in the Chinese district which turned out to be a bit of a walk. Street food for vegetarians proves to be a bit of a challenge at times. Like Thailand they love their meat, entrails soup, deep fried chicken feet and duck neck. Katie has mange to dodge these local delights but the veggie dishes are a little harder to find. There are numerous restaurant around, some even vegetarian only. One lunch we had, we both managed to eat full plates of food for about £1.20 total. If places were like this in the UK people would be eating out all the time, but the reality is a coke alone in the UK is at least £1.20. 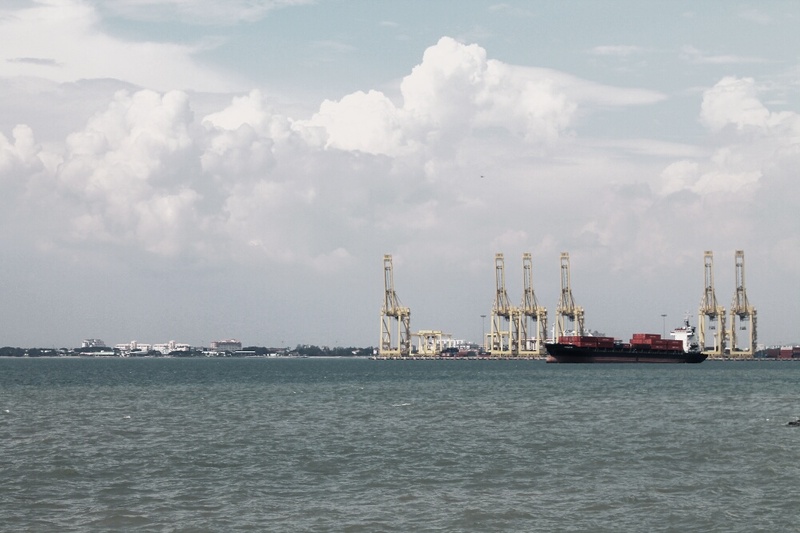 So far George Town has been really cool, there is a great vibe going on here, there is plenty to do, not just in the town centre but also further out and around in Penang Island. The people are really nice and helpful, the food has been tasty and great value. It’s not a massive place so don’t come here for a two week holiday, 2-3 nights should be enough. 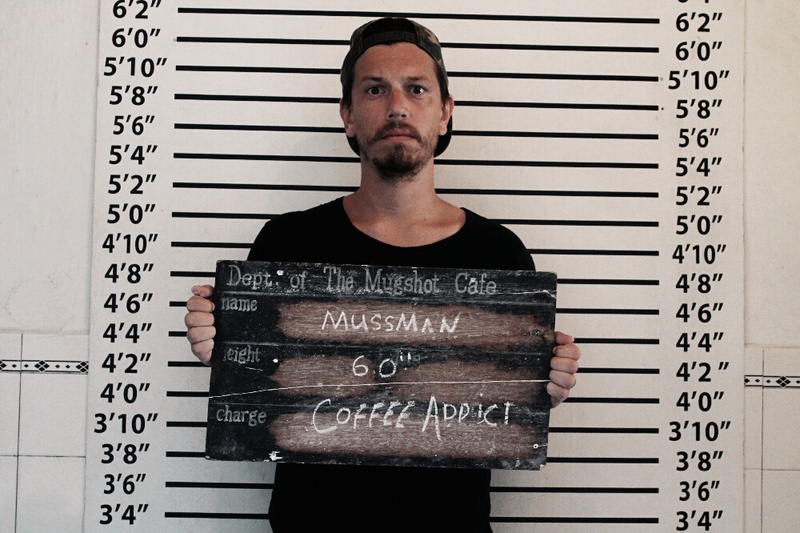 We would reccomend The Mugshot Cafe for a good cup of Java, with a cool interior and chilled out vibe. 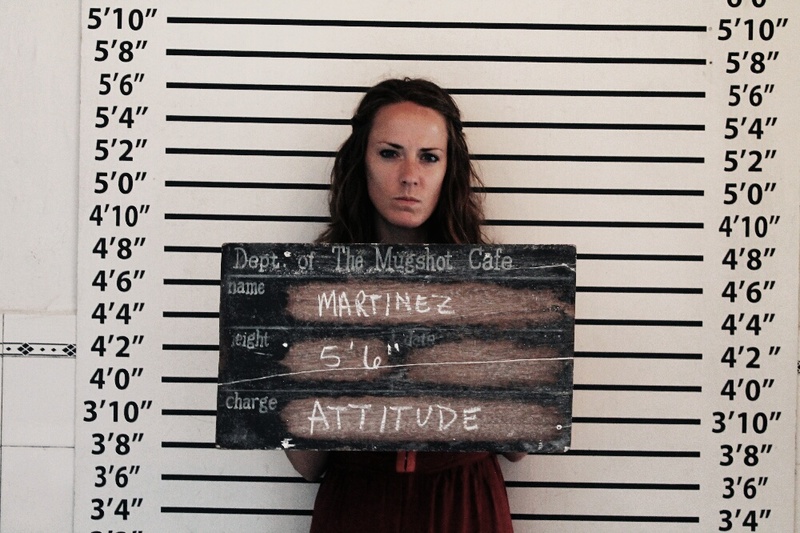 Here you could have your Mugshot taken- which we did and here are the results…. We can also recommend our hotel Cocoa Mews. 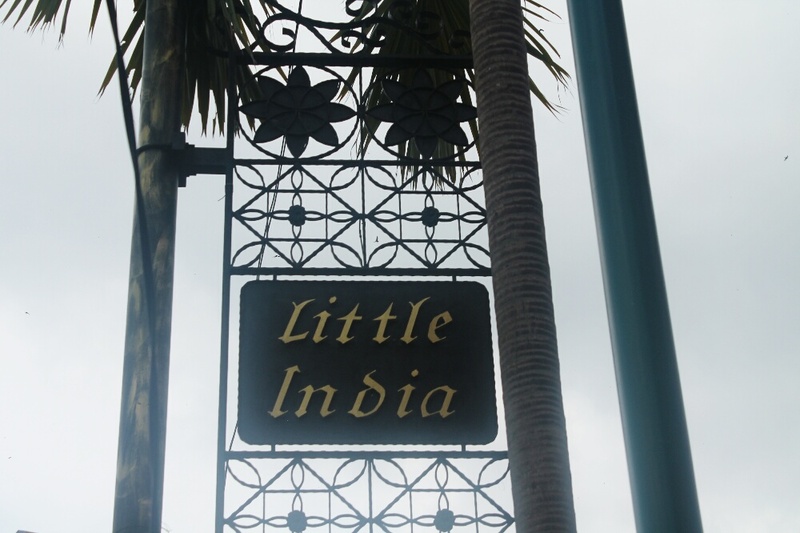 It’s not the most luxurious hotel we have stayed in, but it is great value, has a great location in the heart of Little India, the staff are super nice and helpful with their recommendations and local knowledge. They also have shared facilities such as a kettle (which means lots of coffee, one thing we have both been missing) a DVD player in our room and a large collection of DVDs you are free to watch when you just want to chill in the evening. 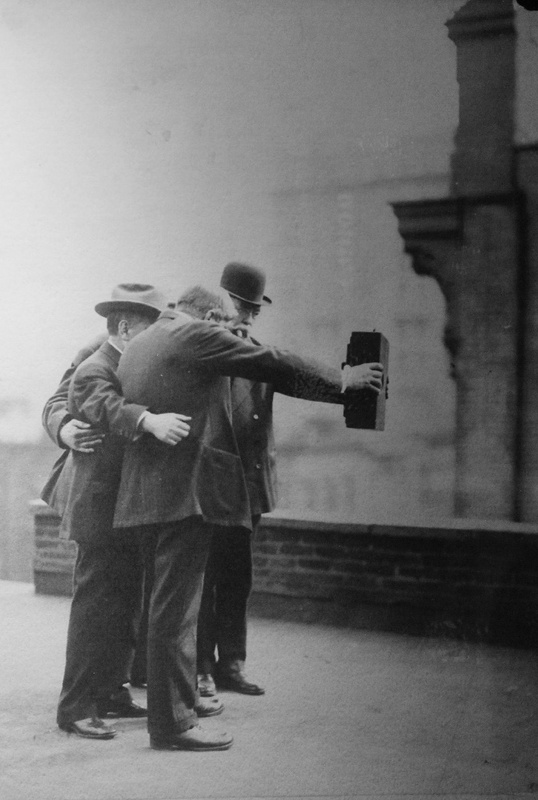 Posted on July 11, 2014 July 11, 2014 by themussmarter	This entry was posted in Decimal man travels the world, General MussMart News, Malaysia, Where are we now? 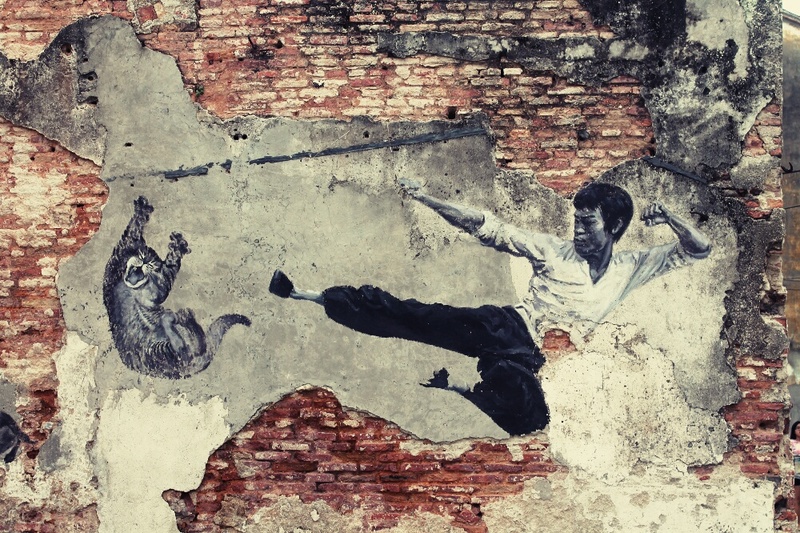 and tagged Asia, back packing, Banksy, cameras, Cats, George Town, Malaysia, Penang, SE Asia, Street art, street food, travelling, vintage camera, vintage camera museum. Bookmark the permalink. Katie looks amazing in that swing photo, so going up in our house…andy is already instructed to get printing! This looks like the coolest place you have been. Have fun. 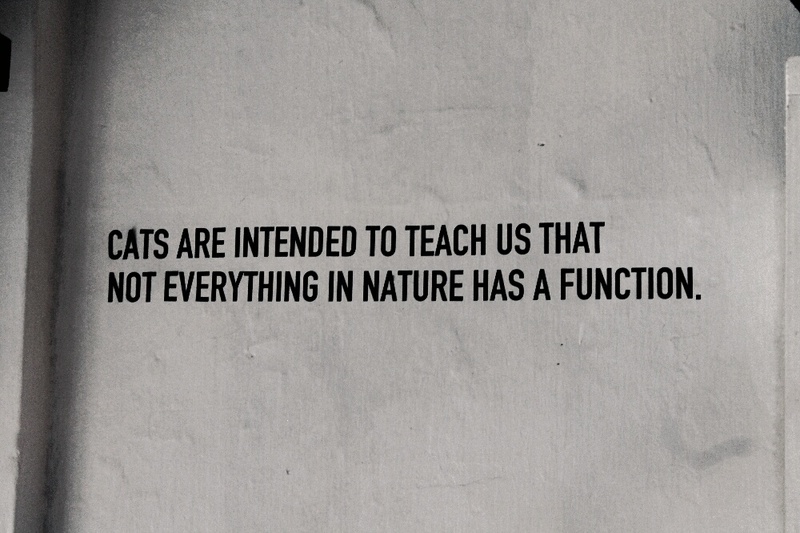 Love the cats. Obsessed with the swing picture!